Islam is the main Religion of Bangladesh with 90.39 percent Muslims. Other religious are Hinduism 8.54%, Christianity 0.37%, Buddhism 0.60% and Others 0.14%. 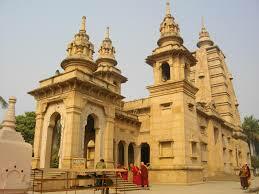 Religions in Bangladesh – The conversion of the Islam began in Bangladesh (South Asia) in the 13 th century. The Hindus who were poor or neglected often become Muslims. Another main reason of conversion was brotherhood, equality, justice in family and social life attracted Hindus and Buddhists to became Muslims. Religious saints, known as Pirs in Bangladesh, those had vast knowledge about Islam were the responsible for conversions. The majority of Muslims are Sunni are living everywhere of Bangladesh. Small group are Shia, reside in the city area. 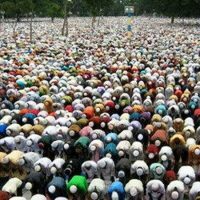 The Islam plays an importance role in the daily life of the Muslims of Bangladesh as religious festivals like Eid ul Fitr, Eid ul Azah, Marriage, death and other religious practices. The other religions of Bangladesh are Hinduism, Christianity, Buddhism and others can perform their religious festivals without any apprehension. 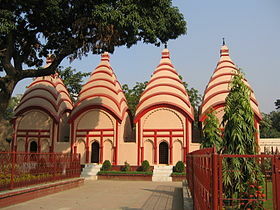 Hinduism is the 2nd largest religious in Bangladesh and third largest Hindu living country of the World after India and Nepal. There are 8.54% hindus of total population in Bangladesh. Most of the Hindus are living in Barisal, Khulna, Dinajpur, Jessore and Faridpur. And small group of Hindus are living with Muslims communities in the villages of Bangladesh with harmony. te 16 th Century to early 17 th century from Portuguese as traders and through missionaries. Christians about 0.37% of the total population. Most of the Christians living in Bangladesh are Roman Catholic and part of Roman Catholic Church and others are Protestants. There are about 0.6% percent of total population Buddhism in Bangladesh. They are living in the South Eastern region specially in Chittagong Hill Tracks, Chittagong & Comilla district. Buddhists from Chittagong Hill Tracks from Chakma, Marma, Chak, Khyang & Tanchungya. Animism followers are also from Buddhism. People of all religions of Bangladesh living with harmony without any conflict. All are peaceful and helping minded, try participate each other festivals. There are more than 100000 Sikhism living in Bangladesh. The Sikhism community had became bigger when 10000 sikhs had come from India during Bangladesh Liberation War in 1971. Since then the community had made a great progress in Bangladesh. 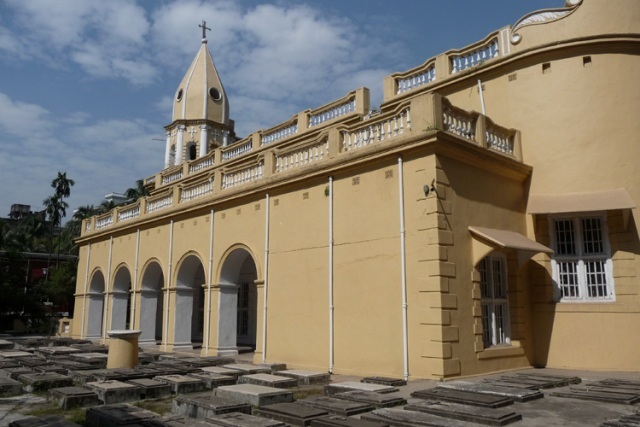 The Gurdwara Nanak Shahi beside the Dhaka University was built in 1830, the most oldest gurdwara in the country. 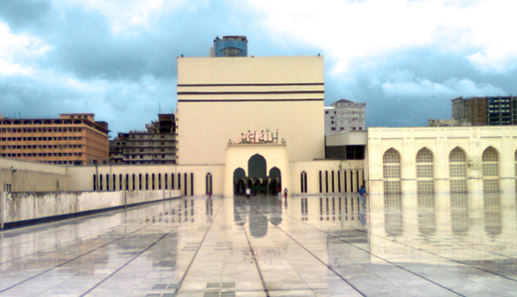 There is a religion community in Bangladesh is ‘Baha’. The community has spiritual centers in Dhaka, Chittagong, Khulna, Rajshahi, Sylhet, Barisal, Rangpur, Mymensingh, Jessore, Rangamati. Another tiny religion community in Bangladesh is “Brahma Samaj”. The Constitution of Bangladesh establishes Islam as the state religion. But also there is secularism in Bangladesh which recently came back. The Bangladesh Government generally respects this provision in practice. In 2006, The Government of Bangladesh banned the Ahmadiyya literature by an executive order. Family laws concerning marriage, divorce, and adoption differ depending on the religion of the person involved. There are no legal restrictions in Bangladesh on marriage between members of different faiths. According to the Islam marriage is allowed between Muslims and Christian. In 2010, Bangladesh government restored ‘secularism’, but Islam remained the state religion per Article 12. 1) What is the main religion in Bangladesh? 2) What are the main religions are in Bangladesh? 3) What is the state religion of Bangladesh? The religious freedom is guaranteed by constitution of Bangladesh. Though the major religion in Bangladesh is Islam, but people of all other religions of Bangladesh can practice their religious festivals and other activities in a friendly and neighborhood environment. The Constitution of Bangladesh establishes Islam as the state religion, but also states that other religions can be practised in harmony. The Islamic law plays a significant role in civil matters pertaining to the Muslim community; but the Islami law is not imposed on non-Muslims. Family law has separate provisions for Muslims, Christians, Hindus and others. Family laws are related to marriage, divorce, & adoption differ depending on the religious beliefs of people of Bangladesh. Religious studies in Bangladesh are compulsory and part of the curriculum in all schools. Student from Muslim, Hindu, Christian communities attend classes in which their own religious beliefs are taught. There are separate teacher for Islam, Hindu or Christine* religious subject in School. Students from minority religious communities are allowed to make arrangements with local churches or temples for performing religious studies classes outside of school hours.